Our new website features a new user-friendly and searchable online catalog, as well as a new product section to keep you informed of the latest additions and updates to our product line. 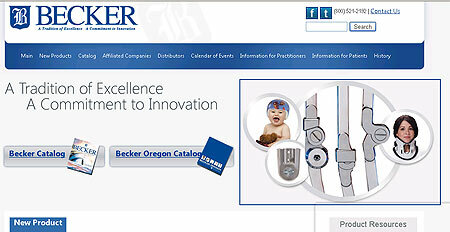 Finding the Becker products you're looking for has never been easier. In addition, our new website offers technical and clinical support, continuing education programs, easy access to orthometry forms, and more. Visit our new Becker Orthopedic website via the link below. SPS is excited to offer the new Alpha® SmartTemp™ Liner from WillowWood. The SmartTemp Liner brings temperature control to prosthetic liners for the first time with Outlast®, the original heat-management technology developed for NASA. Now amputees have a viable solution for a comfortable prosthetic liner that works to delay the onset of sweat, and the amount of moisture within a liner. Available in transtibial and transfemoral applications in progressive and symmetrical AK profiles, the Alpha SmartTemp Liner uses one-way stretch Select fabric that controls pistoning yet allows for easy donning. The revolutionary energy capturing and controlling elbow joint module for mountain biking, snowmobiling, kayaking, crew, and motocross, or riding ATVs and personal watercrafts. The ENER~JOINT is a reflexive, shock-absorbing elbow joint module that provides an infinite variety of lockable, angular elbow orientations and effectively isolates and absorbs forces using a proprietary, flexible, elastomer, shock-absorbing core. A bicycle-style hub with a quick-release locking lever mechanism locks the elbow at any angle. Once locked, the ENER~JOINT flexes under external forces, absorbing shock then reflexing with returned energy to provide a muscle-like, biomechanical response. Several mounting options are available. The DuraShock has quickly become the industry standard for dynamic torque and shock absorption because of its high performance and durability. The DuraShock uses a titanium core in combination with a durable, yet pliable geometric urethane coupling to provide a high degree of active performance for golfing, hiking, gardening, or simple everyday use. New PLUSeries E-Series Adhesives Save You Money! New PLUSeries E-Series was developed to better address specific chemical regulations and reduce cost. Just like our +PLUSeries adhesives, but with a few minor differences, PLUSeries E-Series is a versatile and fast two-part urethane adhesive system that is used for bonding and repairing plastics, composites, aluminum, steel, plaster, and nearly anything else. Sold in our popular 50ml and 220ml sizes, 25- and 60-second gel times, and in tan and black colors. The Spinomed IV® is the latest proven orthotic advancement for the conservative treatment of osteoporosis spinal conditions. 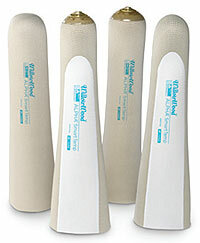 The Spinomed IV boasts improvements that increase patient compliance and ease of use. 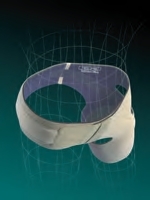 These improvements include ergonomically shaped shoulder straps designed to ease application, flexible pelvic strap designed to form fit around the patient, modern strap design using intelligent strap loops that improve upon the patented design, and a revolutionary garment system that allows air to transfer through the orthosis, creating the most comfortable Spinomed ever! Get the best of both worlds with the most advanced transtibial locking liner along with the only shuttle lock with a flexible pin and magnetic guidance. Deliver great outcomes to your low to moderately active patients with this winning combination. Anatomy-specific geometry-thicker in bony areas and thinner where flexibility is needed. 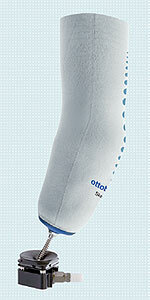 Silky-textured inner surface provides comfortable contact with the skin. Distal matrix helps reduce elongation. Flexible pin and magnetic guidance for ease of entry into lock. We now offer a new way to simultaneously disengage our bail lock knee joints. 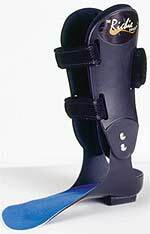 The BLISS, model MX-003- BLISS, was developed in collaboration with Trinity Orthopedic as an alternative to traditional lever-release systems. 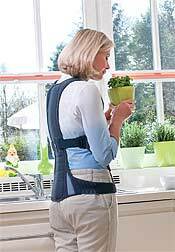 The BLISS does not require any specialized tools and can be installed in a matter of minutes. Simply loop the bail straps over both levers, insert the plastic plugs into the lever openings, and secure the proximal straps to the thigh section of the KAFO. The BLISS is lightweight, durable, cost effective, and available in one universal size. The new Iceross Dermo Uniform Liners are designed to easily retrofit the uniform profiles commonly found in the market today, while still offering the popular features of our Dermo liners. Recommended for low to moderately active transtibial users, Iceross Dermo Uniform Liners are ideal for vascular patients and those with sensitive skin. The Accent® foot from College Park now comes in larger sizes and higher weight limits. 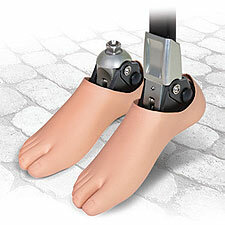 The foot provides a service-free option for individuals who desire a cosmetically appealing foot with an easy-to-adjust heel height. New sizes: 27cm and 28cm. New weight limit: up to 250 lb. 2 in. (51mm), user-adjustable heel height. Dynamic pylon and integrated pyramid options. 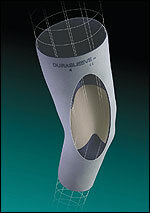 Ankle fairing for superior finishing. 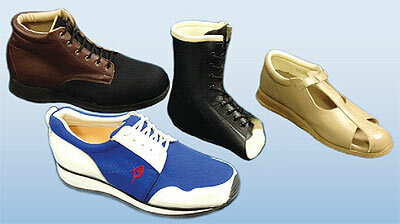 Sandal-toe foot shell, with narrow and wide width options. New for 2013: The AMP CAM Attachment Kit. The game changer! Ask about our evaluation program! 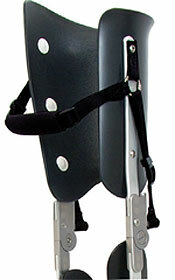 Finally, a humeral fracture orthosis (HFO) that will fit—because you fabricate it! The innovative, lightweight, and breathable 3D-LITE™ thermoplastic is pre-cut to fabricate an HFO. The 3D-LITE can be softened in three to five minutes using a heat gun or oven, allowing it to be custom molded to your patient's anatomy or easily remolded to assure continued intimate fit as any edema subsides. The kit includes straps and hardware, which are ready for you to attach and position to achieve optimum stabilization. Fabricate your own custom HFO in less than 30 minutes! The new Alpha® SmartTemp™ Liner combines silicone with the heat-management technology of Outlast®. This revolutionary liner responds to fluctuations in skin temperature; the liner absorbs and stores heat as it builds up in a residual limb, delaying the onset of sweat before it starts, and releases stored heat as the body cools. The Alpha SmartTemp Liner uses Select fabric that allows circumferential stretch for easy donning, yet the one-way stretch fabric controls pistoning without using a distal matrix. Alpha SmartTemp Liners can be retrofit with any Alpha Liner having the same profile. Every client is different. For the exceptionally active client in need of transtibial suspension, Syncor's Durasleeve HD is constructed of the highest-quality, heavy-duty neoprene for exceptional durability. Limited dexterity creates its own challenges, and the Durasleeve EZ meets them with the security of a virtually failsafe suction system, yet it is easy to don and doff. 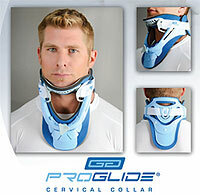 The new PROGLIDE® universal cervical collar by OPTEC USA provides immobilization of the cervical region in a comfortable, easy-to-use device that improves patient care. 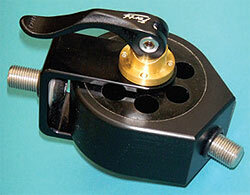 The unique height technology, with 12 points of adjustment, allows for customized fitting with a simple turn of the knob. With a one-size-fits-all design, the PROGLIDE® reduces inventory stock and saves money. The PROGLIDE® is a complete solution for individuals with a cervical injury who require the use of an extended-wear collar.